FREE Elf Cosmetics Brush Set – Yep, FREE!! Hey, Lovely! Here’s a Cosmetics Deal you won’t want to miss! A 7-Piece e.l.f. Brush Set for FREE? Now that’s what I’m talking about! 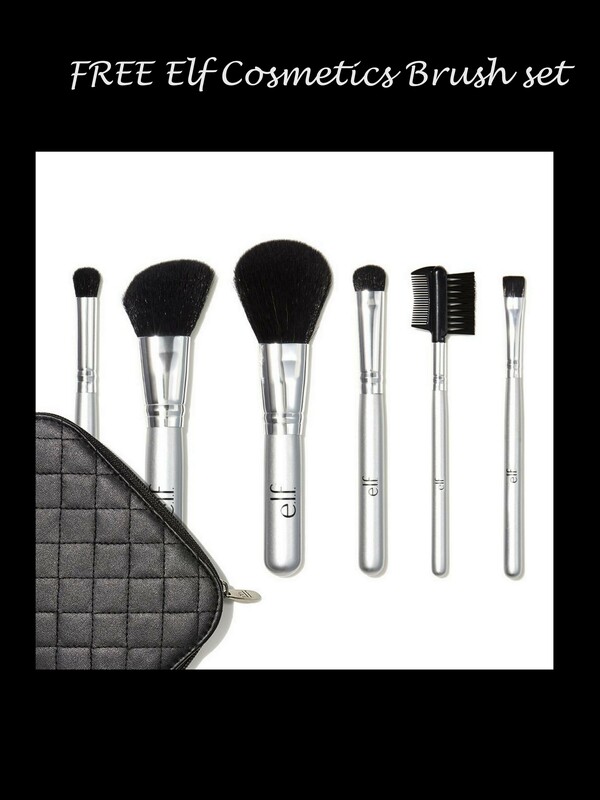 Complete with six brushes and a cleaner, this Beauty set is the whole package. The Big Deal: Spend at least $10.00 or more at Target on the e.l.f. Brush Set via the custom TopCashback Offer Page, get $10.66 in cash back. You can add anything else to your cart! Also, join the Tell-A-Friend promotion until 6/22, meaning any new members will get an additional $5 sign-up bonus. That makes this a $15.66 freebie! Add the e.l.f. Brush Set for $10.00 or more to your cart from Target and head to checkout. You must spend at least $10.00 to get this deal. Pay $10.00 or more. That’s it! The $10.66 will post to your TopCashback account within 14 days, and the amount will become payable. Cash back can be credited straight to your checking or PayPal account. Note: Transactions must contain at least $10.00 worth of purchases to ensure the $10.66 cash back is credited to TopCashback accounts. Transactions may initially track lower, but within the 14 days after purchase it will be uplifted and turn payable at the amount of $10.66. Transactions may take up to 7 days to appear in your TopCashback account. The deal is open until 11:59pm PST on 6/17/2018 or until supplies run out; whichever happens first; applicable for purchases made directly after clicking through TopCashback. Only one TopCashback account is permitted per member. Hurry! Deal ends Sunday, June 17th!